Infinix Smart 2 HD is the higher version of the Infinix Smart 2 series. OK, just wait a minute let me clarify. By higher version, I mean display wise. Yes, because, the Infinix Smart 2 Prohas a better CPU than the All new Infinix Smart 2 HD. 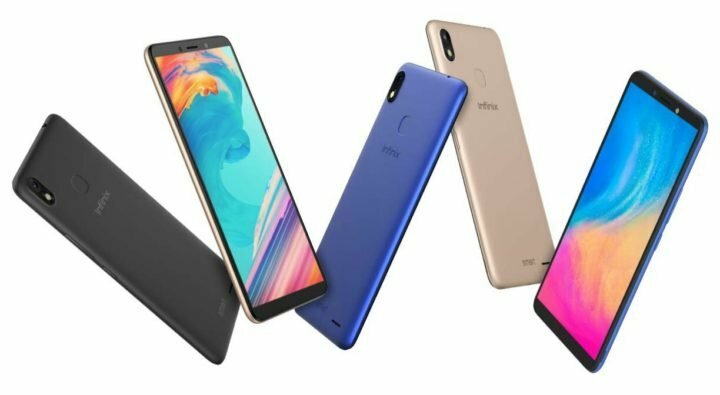 But instead of the 5.5-inch display used on the Infinix Smart 2 and Smart 2 pro, the Infinix Smart 2 HD comes with a larger 6.0-inch HD+ display. I’m sure you understand what I mean now. It is also important to note that the Infinix Smart 2 HD has just 1GB of RAM similar to Smart 2, instead of the 2/3 GB RAM on the Smart 2 Pro. So, since the differences are out of the way, what is the specifications and features of the Infinix Smart 2 HD? From the display, the Infinix Smart 2 HD has a large 6-inch HD+ TFT display, with 720 x 1440 pixel resolution. 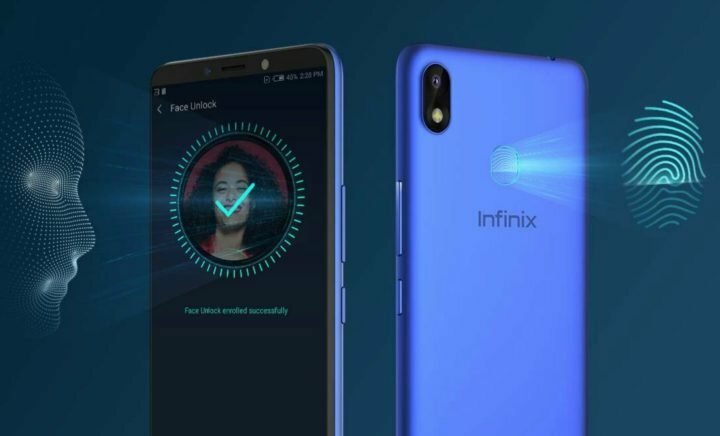 OK, this is not Infinix Smart 2x yet (don’t know if there’ll be one), so there is no notch on the Smart 2 HD. The device is powered by a Quad-core Mediatek MT6580A CPU, along with Mali-400MP2. There’s a 16GB internal storage along with 1GB of RAM. The storage is expandable up to 128GB. 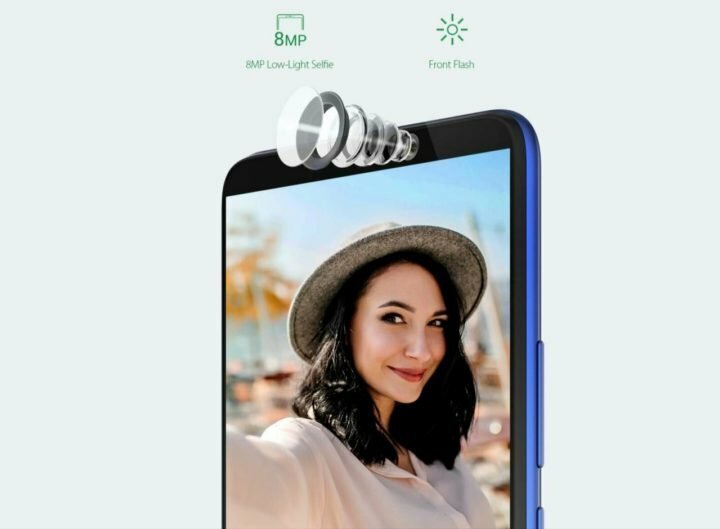 On the camera department, the Infinix Smart 2 HD host a single 8-megapixel rear-mounted main camera. The sensor is capable of [email protected] video recording, and comes with a dual-LED flash. At the front, the device also has an 8-megapixel selfie camera with soft flash and support for FaceID. Other features and specifications of the Infinix Smart 2 HD includes Bluetooth 4.2, GPS, USB 2.0, Wi-Fi 802.11 b/g/n, dual SIM cards with 2/3G networks. Aside the FaceID mentioned above, you also get a rear-mounted Fingerprint scanner, Android 8.1 (Oreo) and a larger 3500mAh battery. The Infinix Smart 2 HD is available in Gold, Black and Blue colors, and currently priced as 12,999 Pakistan Rupees, translating to around $94 US dollars. The device is already available for purchase via Infinix online partners in Pakistan.